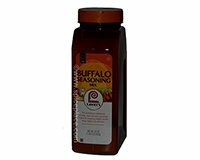 Lawry's Buffalo Seasoning Mix has the traditional flavor combination of tangy, sweet and spicy seasonings which are delicious on chicken wings, in Buffalo dip and tacos. Lawry's Buffalo Seasoning is also delicious on popcorn, potatoes, eggs. Make flavorful chicken salad and potato salad by adding Lawry's Buffalo Seasoning Mix to your favorite recipe. Preheat oven to 450 F. Cut chicken wings at joints and discard tips. Place chicken wings in a large resealable plastic bag(s). Sprinkle Lawry's Buffalo Seasoning Mix over chicken wings. Seal bag and shake/rotate to coat the wings evenly with seasoning. 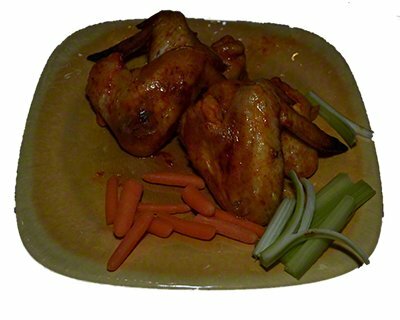 Arrange chicken wings in a single layer on a large sheet pan (15x10x1) which has been covered with non-stick aluminum foil. Bake 25 to 30 minutes or until cooked through. Serve Buffalo Wings with blue cheese salad dressing, celery and carrot sticks, if desired. Place cream cheese, sour cream and Buffalo Seasoning in a microwave safe bowl. Blend well. Microwave on High for 1 to 2 minutes or until heated through, stirring ever 30 seconds. Makes 1 1/2 cups of Buffalo Dip.